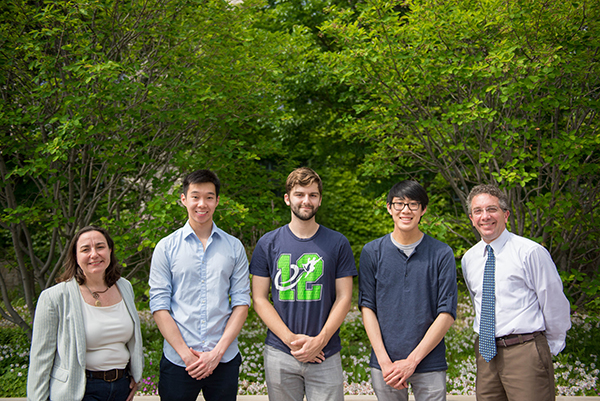 ISEN collaborates with the Undergraduate Research Grant Office (URG) in the Provost's Office to provide summer research grants for undergraduates on sustainability and energy topics. Summer Grants will provide an unrestricted $3,500 to cover research and living expenses for full-time summer projects. Please note: Students must place ISEN in the proposal's short title to allow for quick identification as an ISEN proposal. Please review materials at the Office of the Provost's Undergraduate Research Grant website. To see examples of past-funded student research, please click here. The Institute for Sustainability at Northwestern University (ISEN) has launched the Resnick Family Social Impact Program, which supports student projects that address significant local and global challenges in sustainability and energy. The Program, seeded by a generous $500,000 gift from Paula Stamler Resnick (WCAS ’86) and Ira Resnick, bridges resource gaps between research and solution ideation, proof-of-concept work, and testing methods for implementation-at-scale.